This lamp is easy to put together and I love the floor on/off switch. I wish it could adjust to a taller height though. 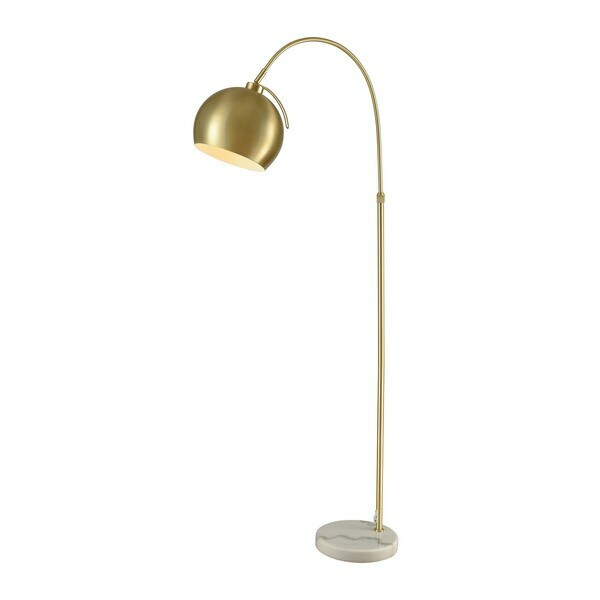 Create a comfortable spot for reading and relaxing with this downward-facing floor lamp. The gold color provides a refined and versatile look, and the foot switch is easy to operate. I purchased a similar floor lamp from *** and while I also love it, this one was designed not only to look great, but it was much easier to assemble. It's not as tall as I thought it would be, however it is easy to adjust the lamp to focus light where you need it. It does not fill a room with light, so that would be the only negative for someone looking to brighten the whole room.